There are a number of coral reefs and wreck dive sites found off Pasikudah and Batticaloa including the World War II wreck of the H.M.S Hermes which is regarded as one of the best drives in Sri Lanka. The vividly coloured shallow coral reefs Pasikudah Bay, Irachchali Reef and Staghorn Reef off Batticaloa are excellent for snorkeling and shallow dives. 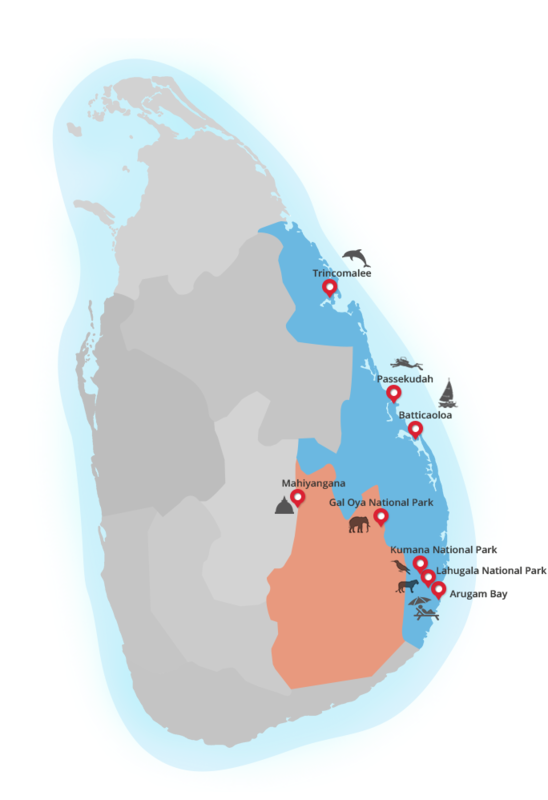 Certified Dive Operators are based in Pasikudah where the majority of tourist resorts are located.